Hiab, part of Cargotec, is introducing MULTILIFT Optima, a smart hooklift for customers who need the right performance and value for money for their everyday loading tasks. 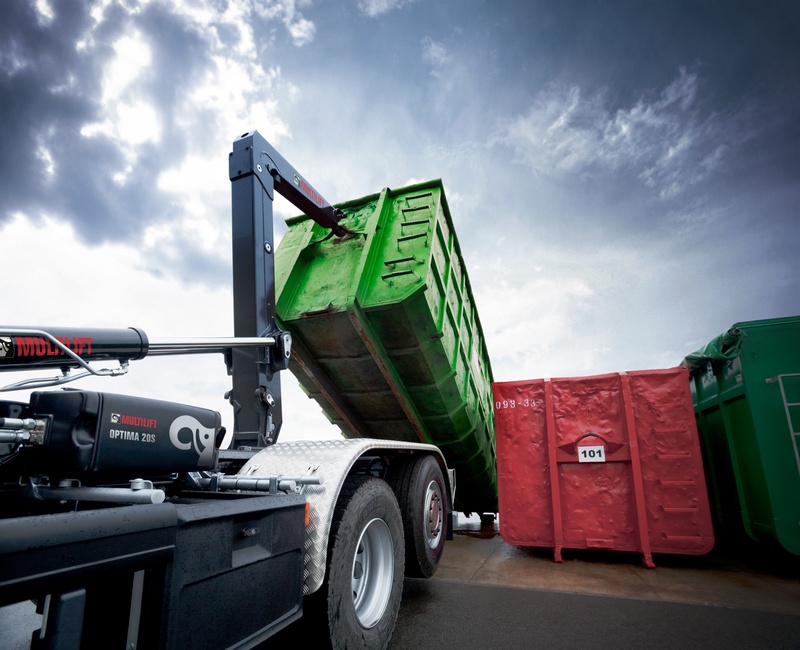 "There is a strong demand in the market for cost-efficient hooklift solutions featuring the relatively basic functions required for straightforward loading tasks, for example, in the waste and recycling segments as well as in general transportation. That is why we have developed MULTILIFT Optima, the 20-tonne hooklift that will provide the highest performance with exactly the right functions needed when working with repetitive loads," says Hans Ekman, Head of Sales, MULTILIFT. The key to better business in routine tasks is reliability. Designed for working with predictable loads on 3-axle trucks, MULTILIFT Optima gives dependable performance with an optimised capacity. In addition, the new hooklift will significantly boost productivity through its fast operation cycles. It features one of the fastest unloading and tipping functions, which allow operator to work up to two times faster and it carries more payload than any other 20-tonne hooklift on the market. "The lightweight steel construction means more legal payload without compromising strength. That means customers can haul more while saving fuel," Ekman says. More information about MULTIMA Optima hooklift at optima.multilift.com and at Bauma Exhibition in Munich, Germany on 11-17 April 2016, stand FN.921/4.